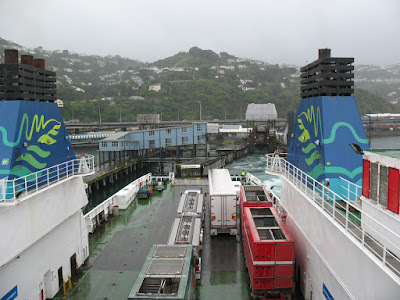 I've been on the South Island for just over an hour now, and I'm already pleased--The crappy weather in Wellington didn't follow me. 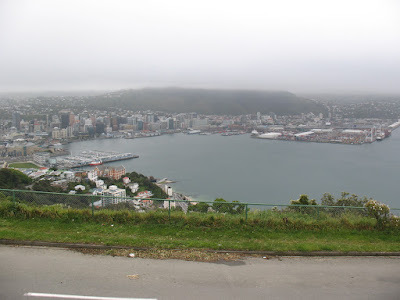 It had been misting in Welly since I got there Wednesday night. 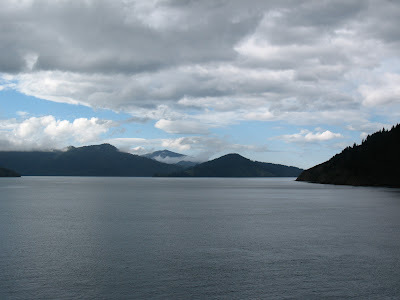 Thankfully, right as the ferry was nearing the channel that would take us into Charlotte Sound, the clouds broke and blue sky came through. Now I'm in Picton for the night. 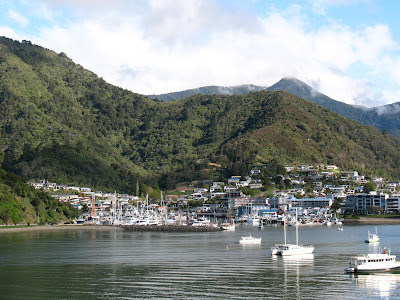 It's a nice town of about 5,000 and is tucked into a little hill on Charlotte Sound. Tomorrow, I'm off to Nelson.